Several new Alzheimer's studies suggest adults who think they're having memory slips or cognitive problems may be onto something. Four studies presented at the Alzheimer's Association's International Conference on July 17 in Boston show that a patient's subjective concerns about their memory or thinking skills may be early warning signs for dementia and Alzheimer's. It's an emerging field in Alzheimer's research, according to the organization. Called "SCD" for subjective cognitive decline, researchers have been looking at whether these personal opinions from patients of their own memory and organizational skill lapses could serve as one of the earliest signs of eventual dementia. If so, future studies that look at new treatments, therapies and lifestyle changes to stave off dementia would likely start when these signs first emerge, Maria Carrillo, Alzheimer's Association vice president of medical and scientific relations, explained in a statement. "Early detection is extremely important for the success of therapy trials, where earlier intervention may be the key to producing positive treatment and prevention results," she said. The studies are all considered preliminary since they were only presented at a medical conference and have yet to be published in a peer-reviewed journal. However, they suggest that self-reports of memory lapses or cognitive hiccups may provide the earliest signs of more serious cognitive decline eventually leading to dementia. In one of the studies, researchers at Brigham and Women's Hospital in Boston looked at the link between self-reported memory concerns and signs of physical brain changes associated with Alzheimer's among 131 people, average age 73.5, with no history of serious neurological problems. The researchers gave them PET Scans to look for presence of beta-amyloid, a protein that builds up to form plaque in the brain that's implicated in the development of Alzheimer's disease. People who reported worse memory were more likely to have higher levels of beta-amyloid than their peers who did not report memory problems. Also, people who reported cognitive problems in areas like organizing tasks and prioritizing also had higher beta-amyloid levels than those who did not. "We suggest that individuals can be accurate judges of their own cognitive decline at the earliest stages of Alzheimer's disease," study author Dr. Rebecca Amariglio, a researcher at Brigham and Women's Hospital and Massachusetts General Hospital, said in a news release. Another study presented at the Alzheimer's conference linked self-reported memory changes to a near-doubling of risk for dementia or mild cognitive impairment (MCI), a disorder that causes changes that are serious enough to be noticed by individuals experiencing them and other people, but not severe enough to impair daily functioning. People with MCI are at an increased risk for developing Alzheimer's down the road, but not all will get worse. A team led by Dr. Richard J. Kryscio, chair of biostatistics at the College of Public Health at the University of Kentucky in Lexington, reviewed medical records of 531 people, average age of 73, who were enrolled in a study in which they were given annual memory and cognitive exams each year for an average of 10 years. Before each exam, they were asked to report any changes of their memory, similar to the other studies. During the course of the study, nearly 56 percent of participants reported changes in their memory skills. Those individuals were found to be at the greater risk of developing MCI or dementia. Their memory complaints occurred on average six years before a dementia diagnosis and nine years before an MCI diagnosis. The study also showed some groups were more at risk. A family history of dementia was associated with increased risk for MCI, while smoking sped up the time of an MCI diagnosis from nine years to six years. Women taking estrogen hormone therapies also had an increased risk for a dementia diagnosis, but their diagnosis time increased from six years to 15 years. "In terms of research, the identification of specific risk factors coupled with a memory complaint could help identify a high-risk group that might help inform the design of future prevention trials," said Kryscio. The next study looked at a gene associated with Alzheimer's, APOE4. Variants and mutations in the APOE4 gene is the strongest genetic risk factor associated with Alzheimer's. French researchers at Inserm U897 in Bordeaux, France interviewed more than 3,800 people age 70 and older from a long-running study of nurses' health. Over a six-year period from 1995 to 2001, researchers gave the nurses four memory tests. They found that for APOE4 carriers, having a concern about a single memory symptom predicted verbal memory declines that occurred over the course of six years. For people without APOE4, they had to have three or more memory symptoms to show decline over the next six years. "Subjective memory symptoms seemed to be a better predictor of subsequent cognitive decline in APOE4 carriers than in non-carriers, likely because there is a larger degree of true memory decline in carriers," said lead researcher Dr. Cecilia Samieri. She cautioned more studies were needed to confirm the results. The last study, conducted by German researchers at the University of Bonn, wanted to see if SCD, subjective cognitive decline, was associated with a specific kind of memory decline: episodic memory problems. Episodic memory involves recalling specific past events. That's different from working memory, which encompasses the memories of how to perform tasks that we use to complete daily functions. 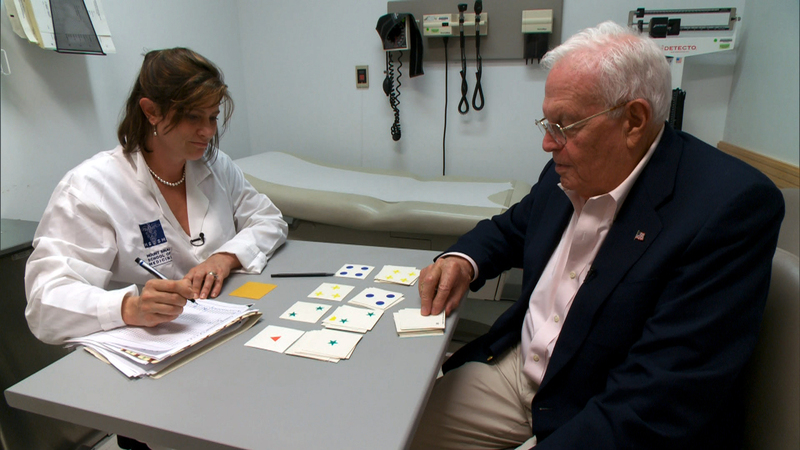 Researchers looked at more than 2,200 cognitively normal adults, average age of 80, who were enrolled in a German study in which they were given memory tests every 18 months for an average of eight years. They too were asked before each test whether or not they felt like their memory was becoming worse, to measure SCD. More than 990 patients answered "yes," and another group of about 370 participants said "yes" and added they had "concerns" about their memory loss. Both of these groups performed worse on the memory tests than people who reported no declines or concerns. The group with self-reported memory declines but no concerns showed significant declines in episodic memory compared to the group without memory declines. Those who said they were concerned about their memory declines showed an even greater loss of episodic memory. The researchers found no difference among the groups in terms of working memory or their overall cognitive scores from the tests. Said study author Dr. Alexander Koppora, a psychiatrist at the University of Bonn, "We show here that [subjective memory impairment] is a predictor of episodic memory decline." He told USA Today that about half of the study pool neared age 90 without memory concerns, which was "good news" for some. The bottom line from all these studies? Listening to patients talk about their own worries about their memory and cognitive skills could be the earliest indication of MCI, Alzheimer's or other forms of dementia. "These people are sensing something, and there's some biological signals that correlate," Dr. Ronald C. Peterson, director of the Mayo Clinic's Alzheimer's Center, told The New York Times. "I think it's real." Not everyone with memory slips will get dementia, though. "Every time you forget someone's name, you don't need to go running to the doctor," Dr. Reisa Sperling, director of the Alzheimer's Center at Brigham and Women's Hospital, told the Associated Press. Heather Snyder, director of medical and scientific operations for the Alzheimer's Association, added to HealthDay, "We're not talking about those times you walk out of your house and realize you've forgotten your keys. We're talking about cases where you identify a change over time -- you've always been able to balance your checkbook with no problem, but now you're having difficulty," she said. The Alzheimer's Association has more information on signs and symptoms of different types of dementia.